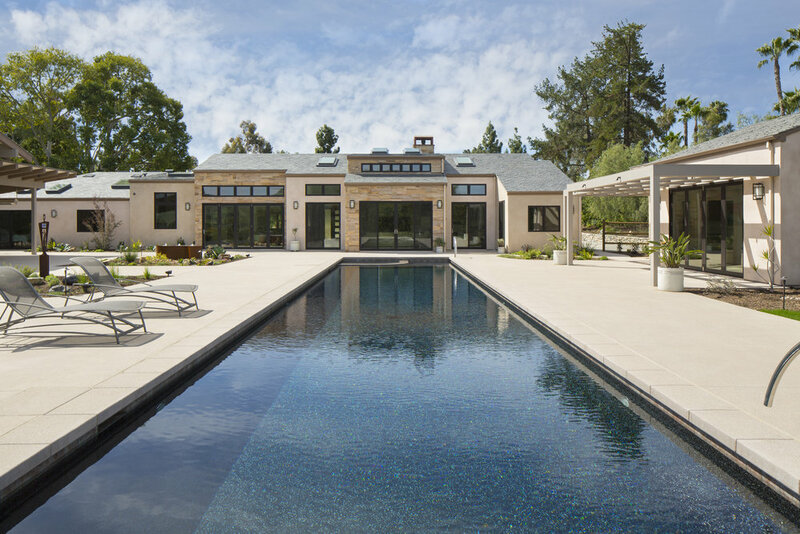 Building a custom home is a defining moment in anyone’s life. It’s a part of discovering how you live, what you like, what you want, and mostly, who you are. It sounds like a lot of pressure, but it’s also a chance to learn where you fit into the world. It’s a chance to elevate the American Dream. While each experience is unique, the first steps to building a custom home are typically the same for everyone: figure out your finances, choose your crew, select your style. The path to your dream home depends on a variety of factors, but with the right foundation, the journey will be much more enjoyable. Before you embark, be sure to have a sense of what you want, how much you can afford, and who will guide you along the way. These first steps to building a custom home are the first steps to living your dream. 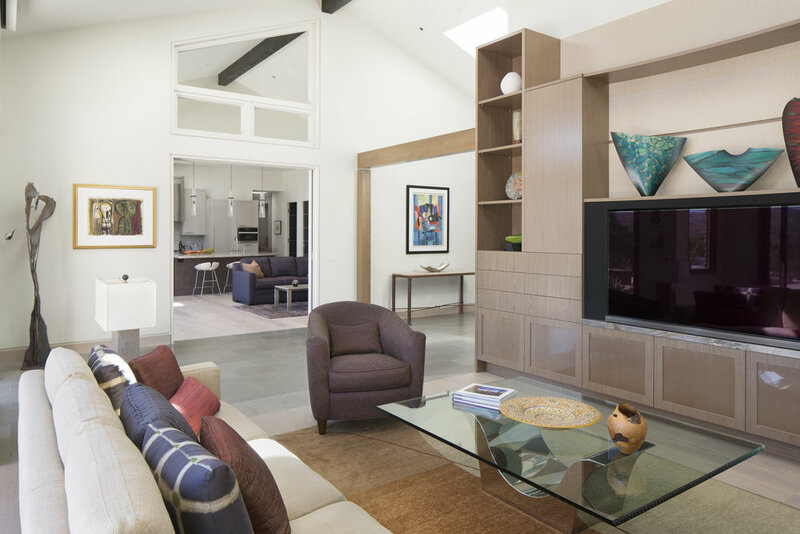 Creating a design that captures the essence of your home and space is never easy. Signature Designs guides you through the process with enlightening 3D Computer Renderings, CAD drawings/elevations along with our award winning distinctive vision. 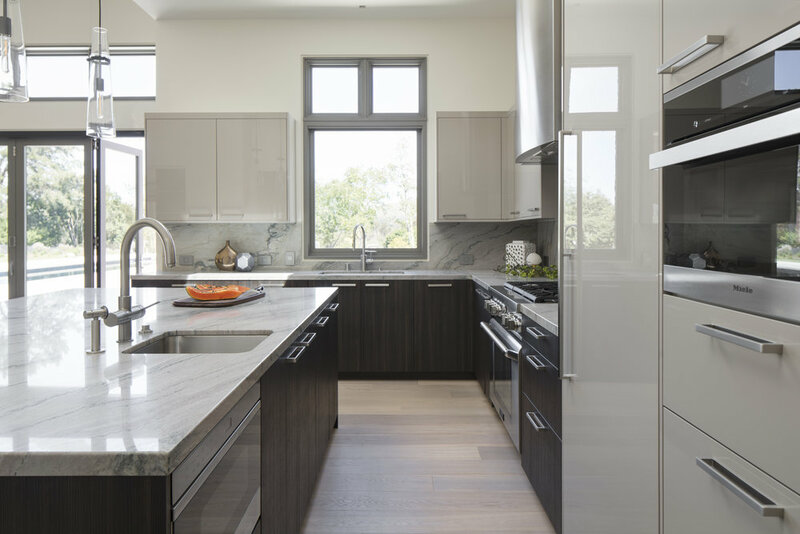 Don't feel limited we work with a wide variety of manufactures and brands to achieve your custom home, because We believe in putting our years of experience to work for all of our clients. 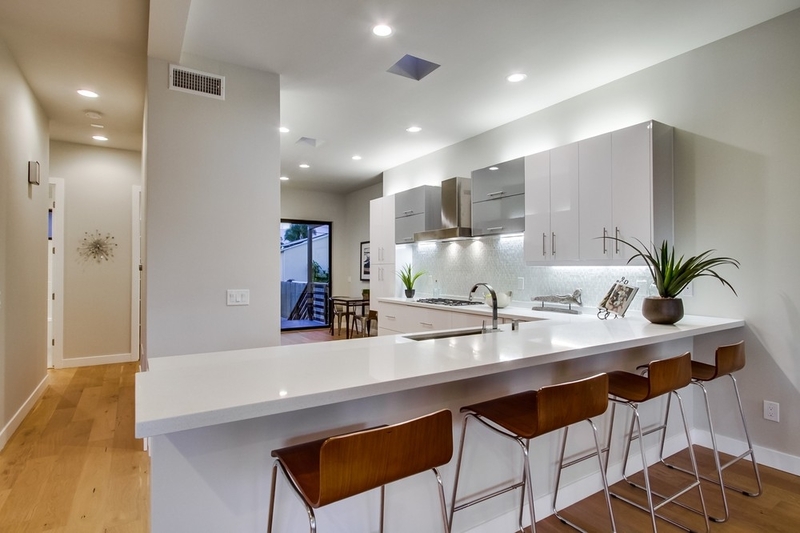 Below are a few of our featured custom home projects. Rancho Santa Fe, partnering with the client, architect, and builder to complete this transitional custom home with luxury finishes throughout the home. Featuring rich apricot wood doors imported from Europe, multiple grain walnut and snakewood veneered cabinetry in the living room. 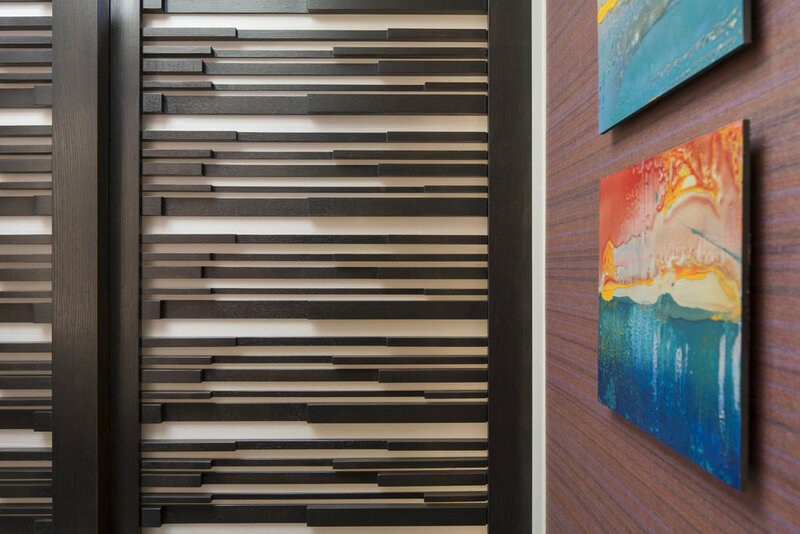 One of a kind custom crafted closet doors in the powder room designed by Signature Designs Kitchen Bath paired with luxe wall coverings creating a powder room that makes a statement. Masterfully remodeled and crafted for entertainment, this dazzling modern home boasts jaw-dropping ocean views, tranquil coastal breezes, and radiating natural light. Welcomed by soaring ceilings and an open-concept design, this one-of-a-kind home features a gourmet chef?s kitchen w/ SS appliances, immaculate designer bathrooms, oversized LaCantina bi-fold doors, wide plank white oak floors throughout, and a stunning Brazilian walnut rooftop deck overlooking the Pacific Ocean. 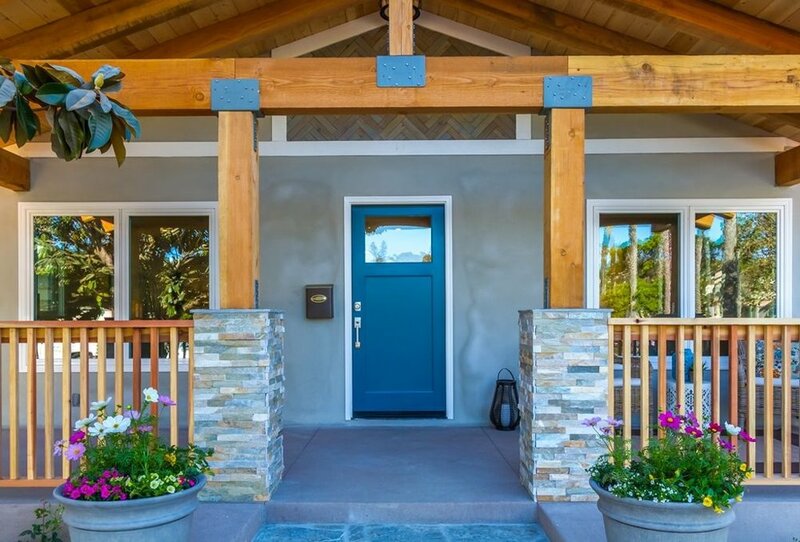 This Craftsman style home has a modern twist. No detail was spared in the remodel. 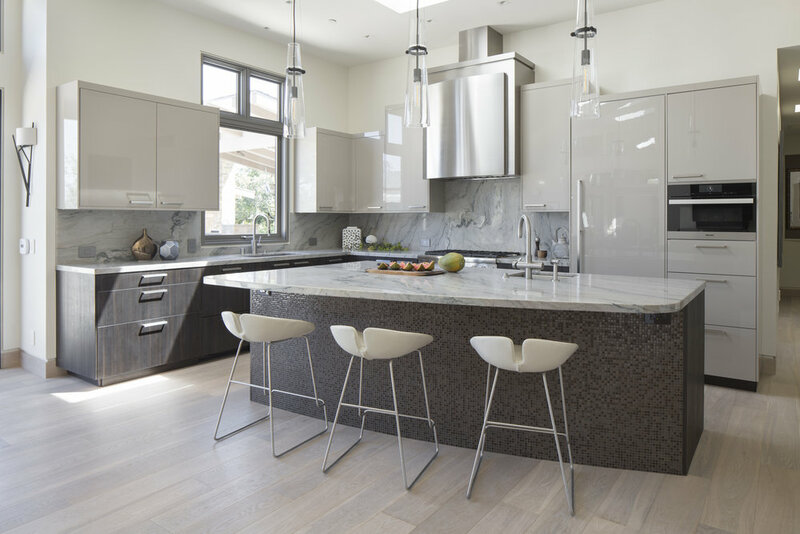 The designer chefs kitchen features an oversized island with pendant lighting, Dacor and Samsung appliances, Pental quartz countertops, European style flat panel cabinets , and a walk-in pantry. The bathrooms have been remodeled with high quality designer tile and custom vanities.